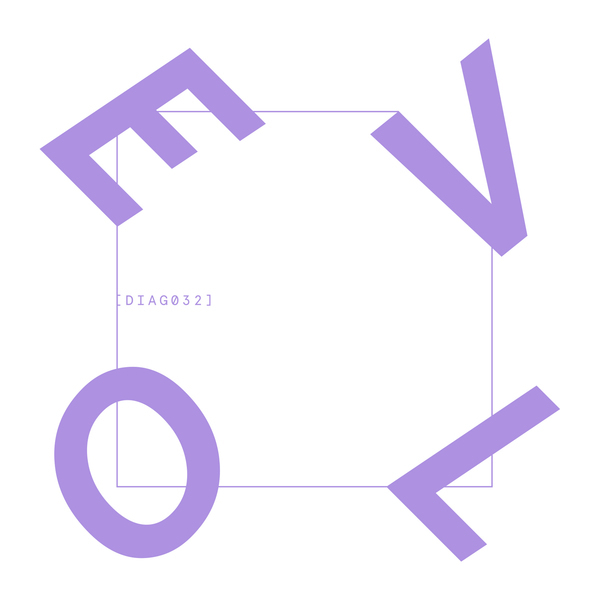 The incessant brain bogglers zig-zag back to Diagonal with the nerve-gnawing acid pointillism of Right Frankfurt after a series of purple-themed 12”s with iDEAL and Hypermedium and the zinging Do These sessions with F.C.O.U. and Presto!? Equivalent to an intravenous dose of acidic synthesis, Right Frankfurt nods to one of techno’s most efficient power centres with a PCP-on-Modafinil-strength reduction and concentration of early industrial techno tropes shorn of their skull-cracking beats and left to babble in an utterly alien coda. It does so for 25 unrelenting minutes, which, if you asked my mum, all sounds the same. But, if you’ve ever appreciated the lissom fluidity of a strong acid or synth lead in the dance, you will notice and no doubt relish the piece’s tumultuous, microtonal variation, see-sawing up/down and around the frequency scale in highly visual knots that are perhaps best experienced in synch with the strobes of their live show. We recently witnessed EVOL scare the bejesus into Berghain with this stuff, to the extent that there’s now a small cargo cult like gathering on the wastelands next door to the club who can do nowt but worship a discarded acid smiley keyring and speak in 303 tongues whilst cowering at the sight of Easyjets overhead. 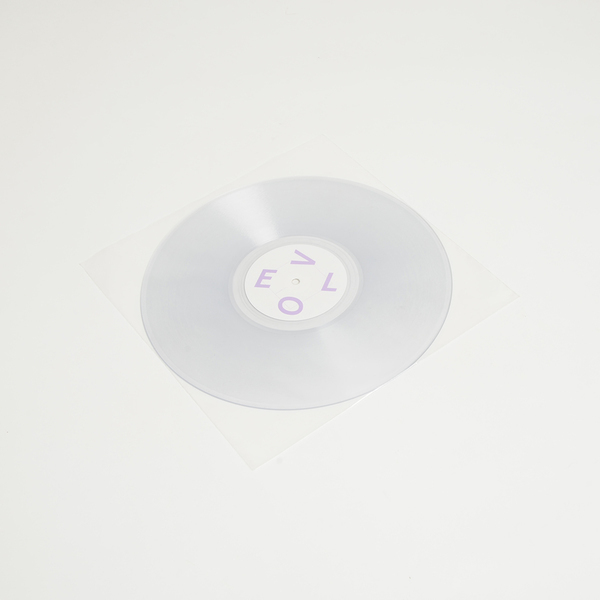 Clear vinyl housed in clear poly sleeve (looks like a floating centre label if you squint enough). Edition of 300, Mastered and cut by Matt Colton.